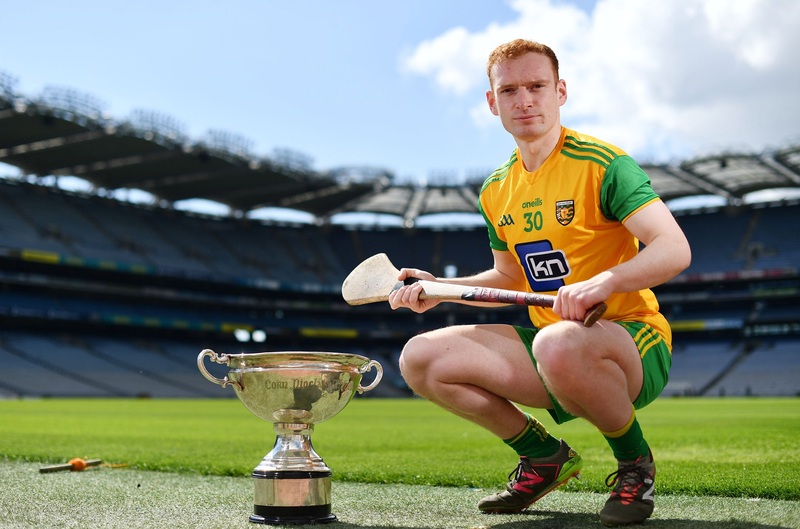 Having won the Nicky Rackard Cup with Donegal in June and knocked defending champions, Setanta, off their perch when helping reclaim the Donegal senior championship for Burt in September, things could hardly have played out any better for Padraig Doherty in 2018. But they did. And on Friday night, the 26-year-old made it a year to remember when he was presented with the Donegal GAA Hurler of the Year Award at the annual banquet in the Abbey Hotel in Donegal Town. “It was lovely to be honoured with such an accolade,” the Swords-based primary school teacher commented. “But it also came as a bit of a surprise, too. It was nice to win in the year that’s in it, because everything that could have gone right did go right,” he added. 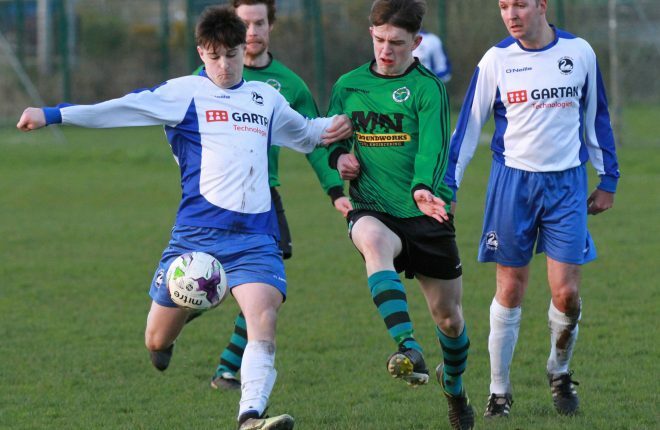 Padraig is a native of Carndonagh native who moved to ply his club trade with Burt in his last year as a minor. 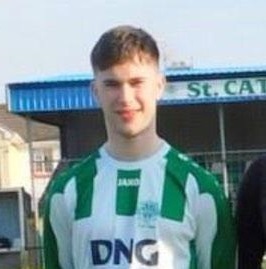 He came up through the ranks and lined out for Donegal at all levels from under-16 up before making his debut for the senior side when coming on as a substitute against Tyrone in a league game in O’Donnell Park on March 14th, 2012. Donegal, who had Ray Durack in charge, were outclassed and went down to their Ulster neighbours by 11 points. Padraig filled a corner back berth when he was introduced. “I was in and out of the team that year,” he recalled. The county final win over arch rivals, Setanta, was a fiercely fought contest. The arena that afternoon certainly wasn’t a place for mammies’ darlings as both teams played on the edge, and beyond, at times. Burt won by two goals, 3-14 to 1-14. Padraig netted the contest’s first goal when finding the range after a raid up the field from the full back position. “That was as hard as it’s been,” he said. According to Padraig, there’s a notable improvement in the standard of hurling in Donegal in recent years. “The younger players seem to be taking a bigger interest in the game. Balls aren’t just being lumped in anymore. There’s more of a structure to the game play, lads are more tactically aware and their touch is getting better,” he added. Donegal’s season culminated with a 2-19 to 0-18 victory over Warwickshire in the Nicky Rackard Final. 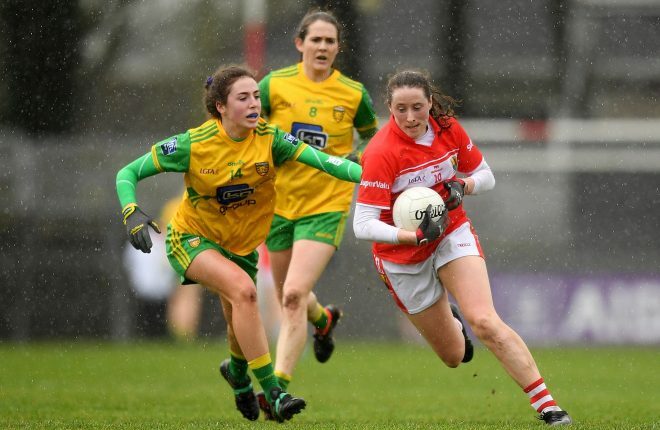 Having trailed 0-3 to 0-9 after 15 minutes, Donegal fashioned a spirited comeback to claim the trophy for only the second time, having previously won it in 2013. He’s been in the capital for eight years; he spent three years at college and is five years teaching there now. These weeks are the down time for the county’s hurlers, but come the turn of the year, it will be into a familiar routine again, with two trips during the week back home for training. In 2016, Padraig was one of two Donegal players selected on the Nicky Rackard Champions 15 – Danny Cullen of Setanta being the other. Padraig was surprised when he got a call last month informing him he’d been chosen as the Donegal Hurler of the Year. Looking ahead to the 2019 season, he’s hoping Donegal can give a good account of themselves in Division Two B. They won three league games last year, so a minimum of three victories is the aim for next year. “We have Kildare, who are two divisions in championship above us, at home in the first game in O’Donnell Park on January 27th. 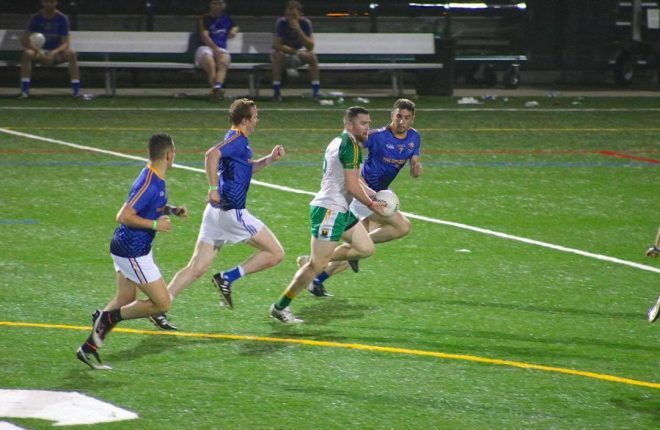 O’Donnell Park is the best ground in the county for hurling and I really like playing there,” he said. 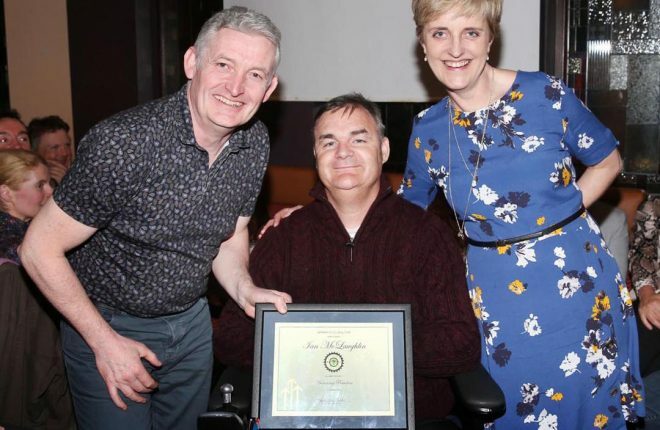 Being honoured by his own, among his own, can only serve to place a pep in the step of one of Donegal’s finest and most modest.